In a world where almost anyone and anything can connect to the Internet, the exponential increase in the volume of information and connected devices creates a dilemma: IT complexity increases as does demand for simplicity. This challenge calls for a more dynamic service delivery model that enables rapid innovation for applications and services. 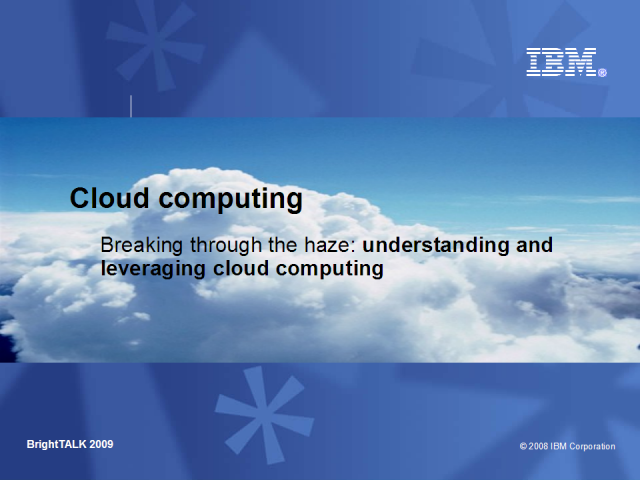 Cloud computing can be one element of such a model. This presentation reviews the different types of clouds, their attributes and their business value.